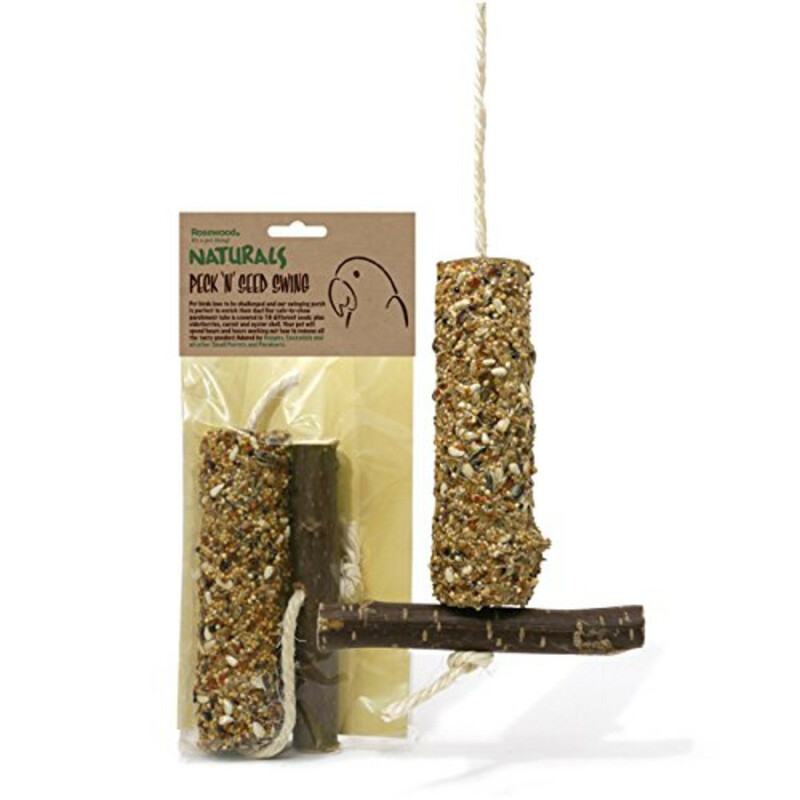 Pet birds love to be challenged and out swing perch is perfect to enrich their day! Our safe-to-chew parchment tube is covered in 16 different seeds, plus elderberries, carrot and oyster shell. Your pet will spend hours and hours working out how to remove all the tasty goodies!